The heart of the Tennis Scout PRO. All stored matches can be organized and managed from one place. Groups are also one of cool features, how matches are organized. 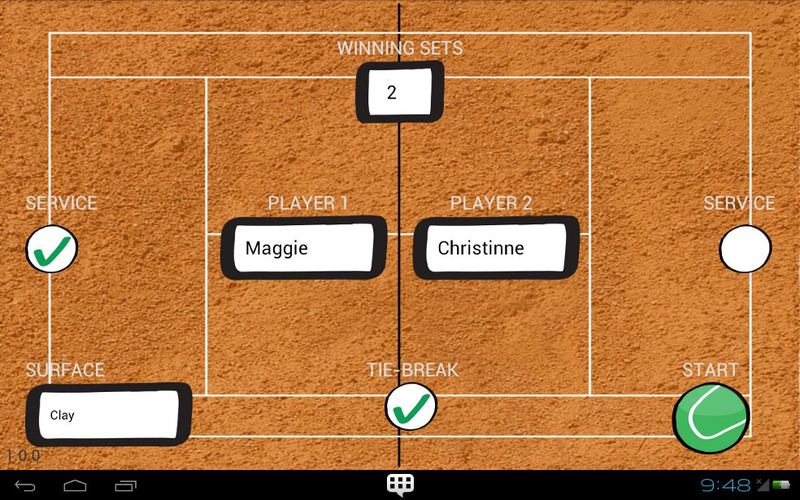 Every tennis match has it's start exactly at the screen, where players, surface type, number of winning sets, tie-break and the first serving side are entered. Statistics data are essential for a valuable evaluation of the tenis match. 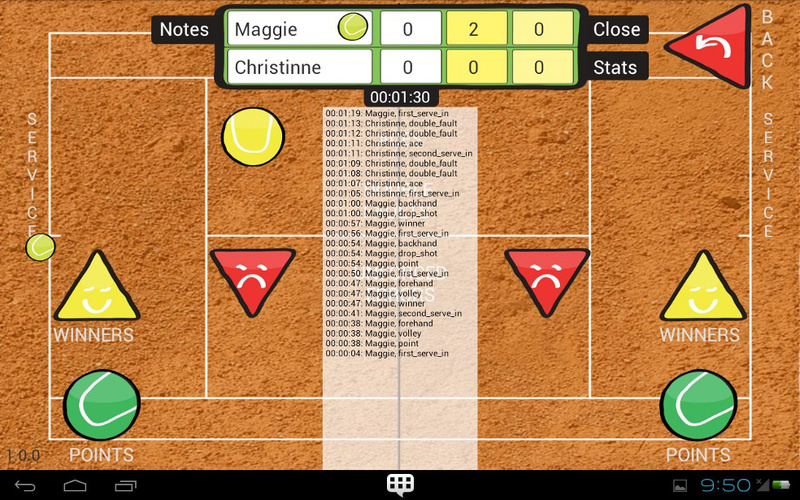 Track every point details during an important tennis match. Stored it for a further study. Check current match statistics or choose any match played in the past to go back and evaluate every important detail of players style, accuracy or weak points. Winners are those, who do not just talk, but DO. Did you ever think how many points are played during an average tennis match? Did you ever think about the possibility to compare your last tennis match with the one played against the same guy you remember you play with the last summer? 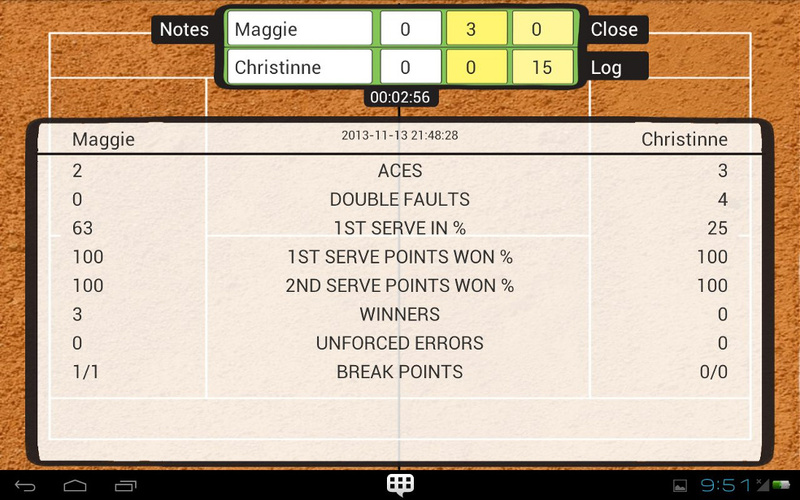 Are you interested in the tennis match statistics? Do you think you are better (we talk about the tennis) than last year? Do you think you do less double faults? Do you think you play more aces? Do you think your performance is increasing? Do you supervise more players and would you like to know how they are getting better in time? Well. We have an answer! 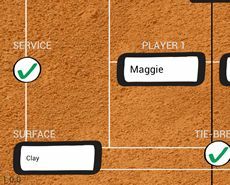 Ok, to be absolutely exact, we developed a tool, which might help you to find an exact answer for all these questions, which can come up to your mind and... are related to the tennis. All tennis games are stored in the form of match records, which can be organized into groups. 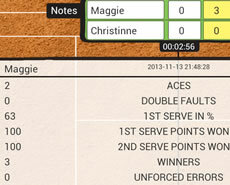 One tennis match can be referenced to more than one group allowing you to manage all records in the flexible manner. ... and start the tracking. All activities are tracked into the log file, which is available any time during the game tracing in expneded or collapsed form. The log file data are visible in the log book text form and are stored in the appplication database for furth processing in game statistics evaluation. The application user interface has been developed with strong focus on usability, which is also supported by the vibration feedback on devices, where it is supported. The user interface supports smaller resolutions of your pocket smartphones, but uses all available screen space on devices with larger displays, where you can enjoy the comfort 7" or 10" screens. Notes can be taken anytime during the match. 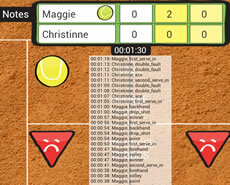 A handy feature "insert time" would be found very useful as it inserts a current match time at the postion of a cursor. Notes are also stored to the application database and are referenced to the match. Thee can be accessed later for furter study. 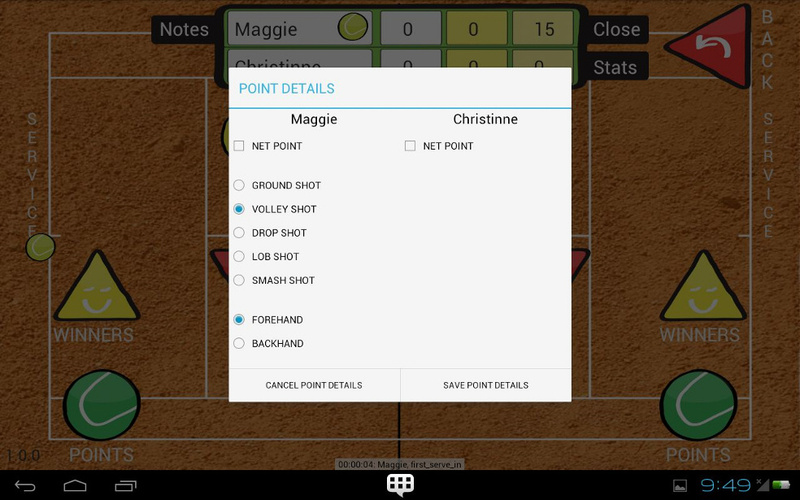 Game point details are stored in the application and are used for various statistics. Currently the application supports a basic set of cummulative numbers related to different aspecst of the game. Statistics are accessible during the match data tracing and can be easily inspected for past matches again. 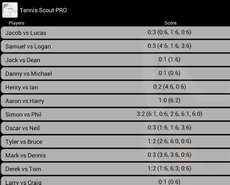 Tennis Scout PRO is ready for your download on the Googe Play site. FoxCom © 2013. All Rights Reserved.